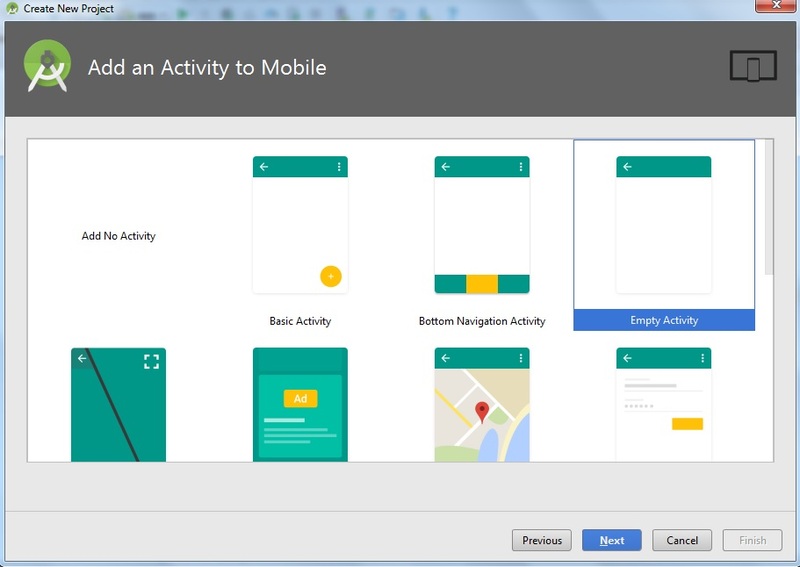 Open Android Studio create a new project with an empty activity called LoginActivity. 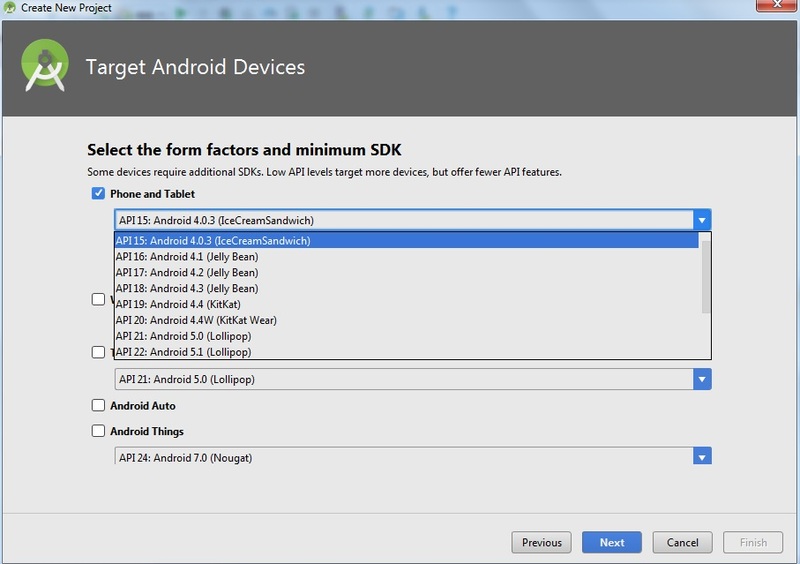 Add the permission to access internet in the AndroidManifest.xml file. 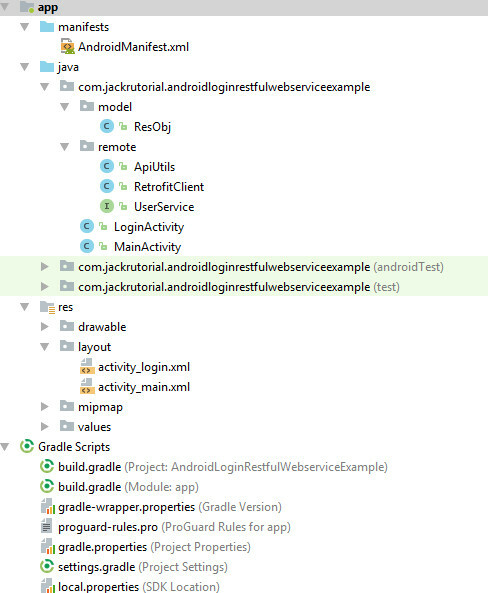 Create a ResObj class (the POJO classes are wrapped into a typed Retrofit Call class) under com.jackrutorial.androidloginrestfulwebserviceexample.model package and write the following code in it. 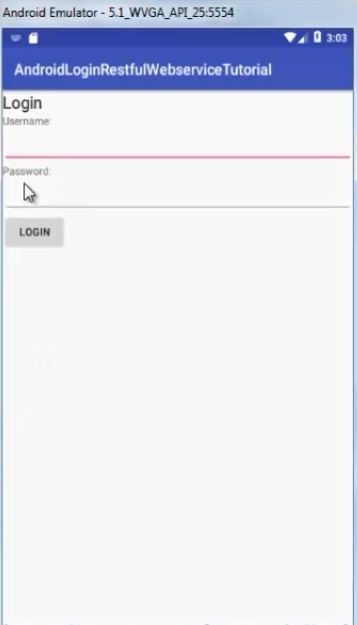 Create a UserService interface under com.jackrutorial.androidloginrestfulwebserviceexample.remote package. Define the REST API for Retrofit via the following interface. In the above class, we’ve defined GET method that perform HTTP requests with annotation. 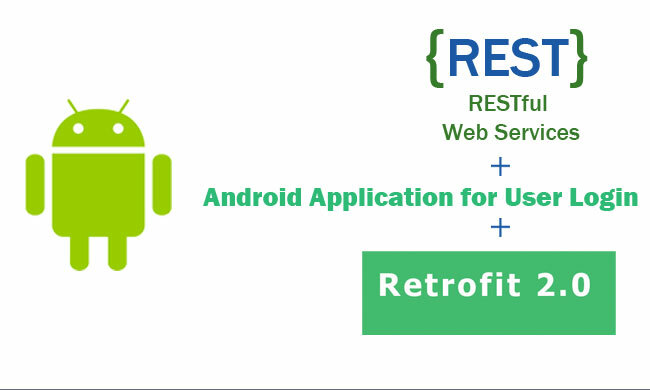 Create a RetrofitClient class under com.jackrutorial.androidloginrestfulwebserviceexample.remote package and write the following code in it. 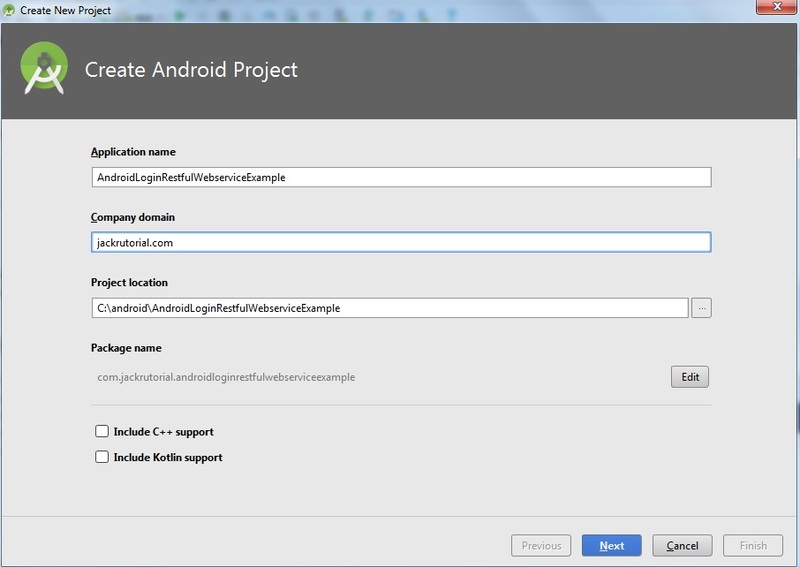 Create a ApiUtils class under com.jackrutorial.androidloginrestfulwebserviceexample.remote package and write the following code in it. 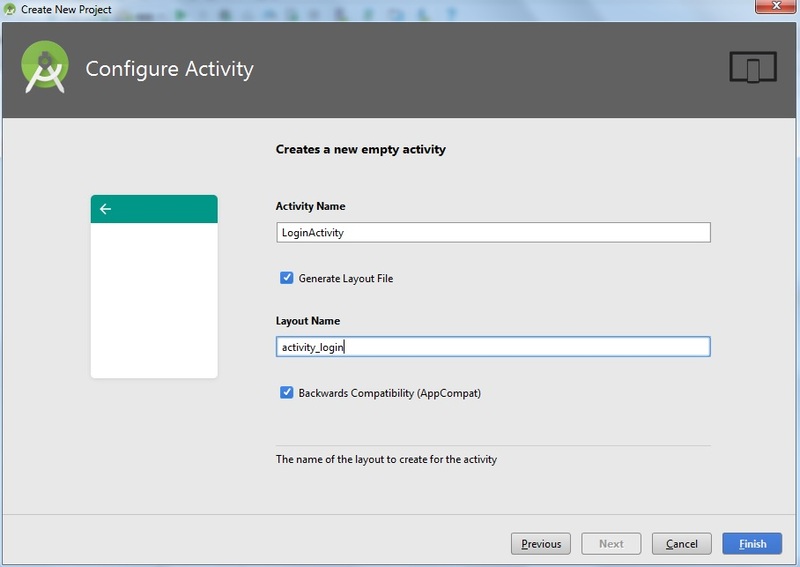 Change the activity_login.xml layout to the following. 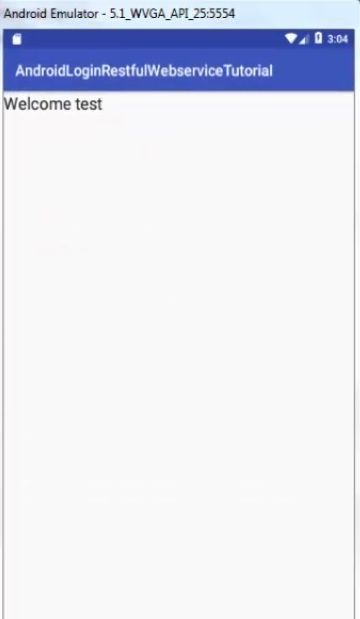 Change LoginActivity activity code to the following. Name the new activity "MainActivity".